**Application Deadline is December 14. ** Register now! Honors Festival string participants will not only perform as a large ensemble but will also perform as string quartets making the festival truly a unique experience for these students. High School music teachers will have an opportunity for Masterclass workshops about rehearsal and conducting techniques. Truly the Bob Cole Festival offers something unique and enriching for everyone who participates. Due to a generous grant from California State University, Long Beach, the regular festival participation rate of $160.00 has been reduced to $45.00. We also have a limited number of need-based scholarships for those wishing to attend but are not able to afford the $45.00 participation rate. 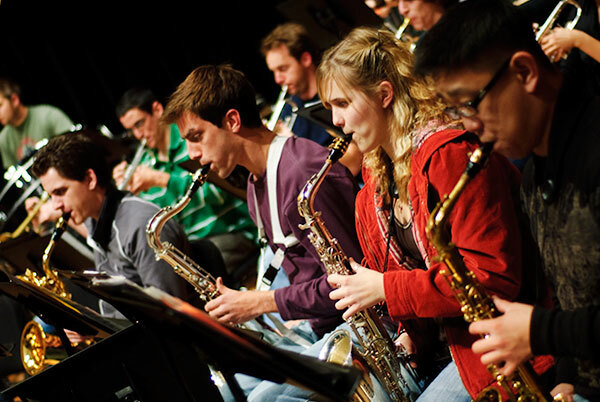 The Bob Cole Honors Wind Symphony is an ensemble made of the most talented wind musicians in Southern California. The Wind Symphony, under the direction of Professor John Carnahan, will host world-renowned guest solo artist Michele Zukovsky on clarinet. She will not only solo with the ensemble but will also give a Masterclass to Honors Festival students. Ensemble members will receive section coaching from our festival faculty and present a celebration concert for family and friends at the conclusion of the festival. 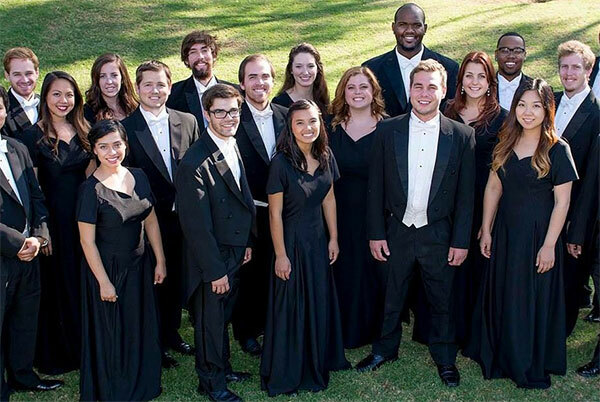 The Bob Cole Honors Concert Choir is an ensemble made of the most talented vocal musicians in Southern California. Ensemble members will receive section coaching from our festival faculty and present a celebration concert for family and friends at the conclusion of the festival. The Bob Cole Honors String Chamber is an ensemble made of the most talented string musicians in Southern California. 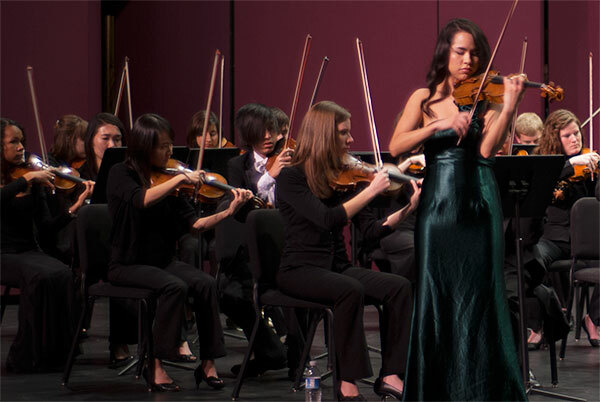 The String Chamber Ensemble, under the direction of Professor Moni Simeonov, will host world-renowned violinist Dennis Kim, Concertmaster of the Pacific Symphony. He will not only solo with the ensemble but will also give a Masterclass to Honors Festival students. Ensemble members will receive section coaching from our festival faculty and present a celebration concert for family and friends at the conclusion of the festival. Guest artist Michele Zukovsky, clarinet. 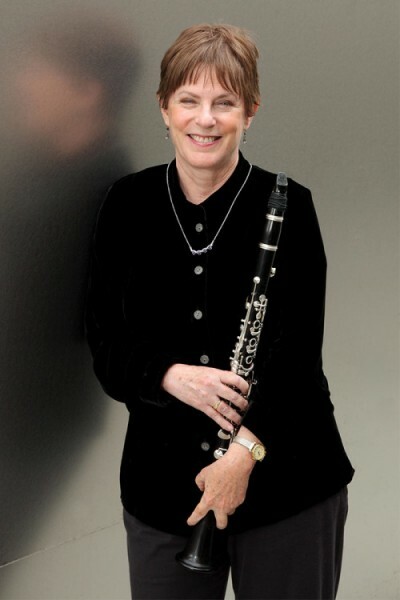 Michele Zukovsky is an American clarinetist and longest serving female woodwind player in the history of the Los Angeles Philharmonic Orchestra. Born and raised in the Los Feliz district of Los Angeles, she played alongside and later succeeded her father, Kalman Bloch, as the principal clarinetist of the L.A. Philharmonic. She is related through her mother Frances to famed violin virtuoso Jascha Heifetz. Her brother Gregory Bloch played violin and mandolin for the Italian rock band Premiata Forneria Marconi (PFM), the American progressive-rock bands String Cheese and It’s a Beautiful Day, on "Gilda LIve" on Broadway, and with the Saturday Night Live Band. Zukovsky has performed worldwide, including with the Boston Pops, the St. Petersburg String Quartet, the Lincoln Center Chamber Players, and at the Mostly Mozart Festival. She taught at the California Institute of the Arts. She currently teaches clarinet at the University of Southern California. She premiered John Williams’ Clarinet Concerto with the Boston Pops in 1991. In 1986, she premiered a version of the Sonata in F minor, Op. 120 #1, by Johannes Brahms, arranged for clarinet and orchestra under commission from the Los Angeles Philharmonic Orchestra by Luciano Berio. As a recording artist, Zukovsky has released several works, including most recently Simeon Bellison: The Arrangements for Clarinet (Summit Records, 2008), a compilation recording that includes arrangements by the Russian-American Simeon Bellison and Jewish-themed works by other composers. As a film industry studio clarinetist, Zukovsky played of several films scored by John Williams. She has served on the faculty of the Thornton School of Music at the University of Southern California and the Pasadena Conservatory of Music. Guest artist Dennis Kim, violin. Dennis Kim is Pacific Symphony’s new concertmaster. A citizen of the world, Dennis Kim was born in Korea, raised in Canada and educated in the United States. He has spent more than a decade leading orchestras in the United States, Europe and Asia. Most recently, he was concertmaster of the Buffalo Philharmonic Orchestra in New York. He was first appointed concertmaster of the Tucson Symphony Orchestra at the age of 22. He then served as the youngest concertmaster in the history of the Hong Kong Philharmonic Orchestra, before going on to lead the Seoul Philharmonic Orchestra and the Tampere Philharmonic Orchestra in Finland. After making his solo debut at the age of 14 with the Toronto Philharmonic Orchestra, Mr. Kim has gone on to perform as a soloist with many of the most important orchestras in China and Korea. Highlights include performing on 10 hours’ notice to replace an ailing William Preucil, performing Vivaldi’s "Four Seasons" 20 times in one week and touring Japan with the Busan Philharmonic in 2008. During his tenure as concertmaster with the Buffalo Philharmonic Orchestra and the Tampere Philharmonic Orchestra, he was featured annually as a soloist. Over the last two seasons, he was a guest soloist with the Lebanon Philharmonic Orchestra and the Orchestra NOW, with repertoire ranging from Mozart and Haydn to Glass and Penderecki. Future engagements include those with the National Symphony Orchestra of Cuba. 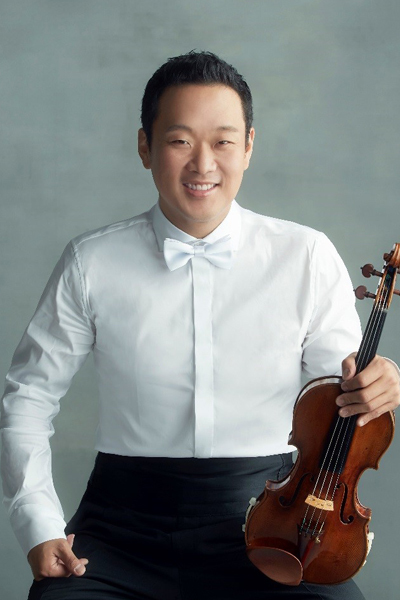 A dedicated teacher, Mr. Kim is currently on the faculty at the Royal Conservatory of Music in Toronto, Canada’s PRISMA festival and the Interlochen Center for the Arts as Valade Concertmaster in the World Youth Symphony Orchestra summer program. He has also been on the faculty of the Hong Kong Academy of Performing Arts, Korean National University of the Arts, Yonsei University, Tampere Conservatory and the Bowdoin International Music Festival, Atlantic Music Festival and Suolahti International Music Festival. His students have been accepted to the Curtis Institute of Music, Colburn School, Juilliard School, Peabody Conservatory and the Queen Elizabeth College of Music and play in orchestras around the world. A graduate of the Curtis Institute of Music and Yale School of Music, Mr. Kim’s teachers include Jaime Laredo, Aaron Rosand, Peter Oundjian, Paul Kantor, Victor Danchenko and Yumi Ninomiya Scott.